Alibaba is investing nearly $200 million in China Business News (CBN) as it prepares to move into the financial data and information services industry. In its latest foray into the financial services sector, Alibaba is teaming up with CBN owner Shanghai Media Group to create a platform aimed at SMBs that will offer financial news and information. 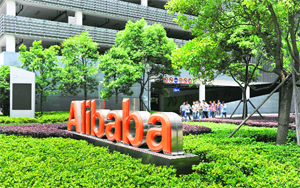 Alibaba says that it will tap the huge trove of data it holds on users and cloud computing capabilities to give firms access to precious financial data that can be easily mined and analysed for actionable investment and business decisions. Alibaba unit Alipay and CBN are already working to provide users with stock quote information and CBN’s wealth management information product will also soon launch on the auction site Mobile Taobao.